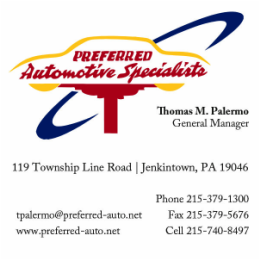 Become a sponsor! Click here. 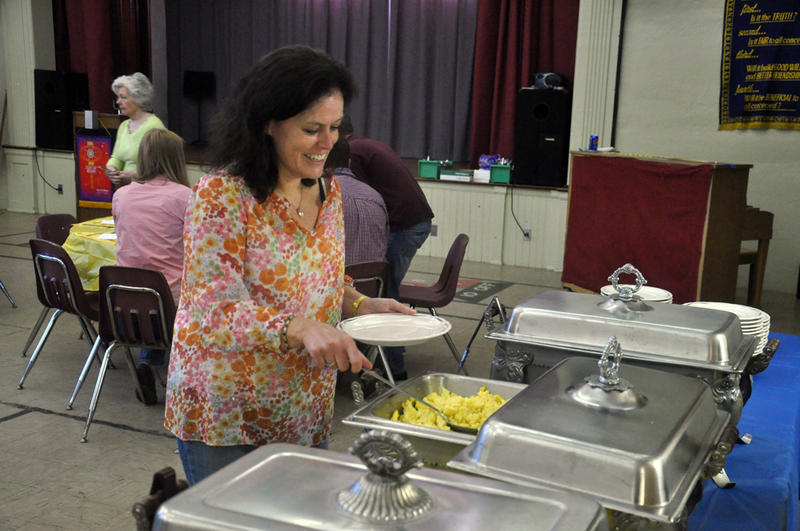 Over 250 Jenkintown area residents enjoyed the Rotary Club of Jenkintown’s Pancake Breakfast fund raiser held on April 9. 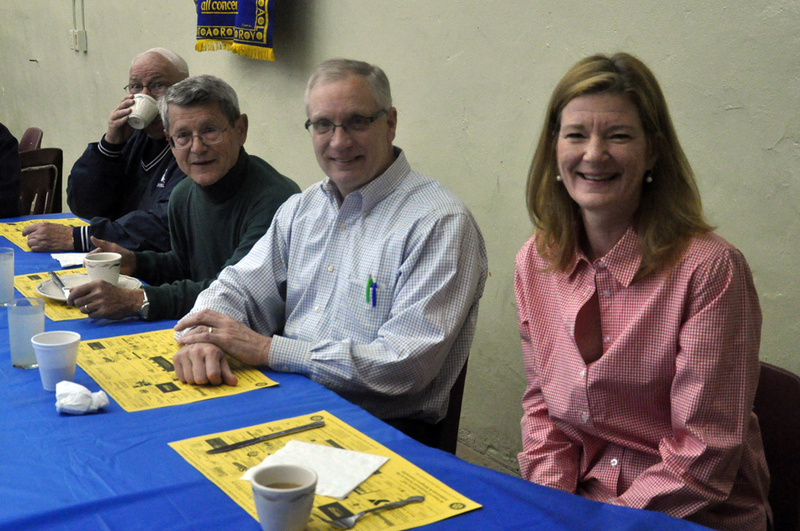 The breakfast raised over $12,000 which will used to support local charities. 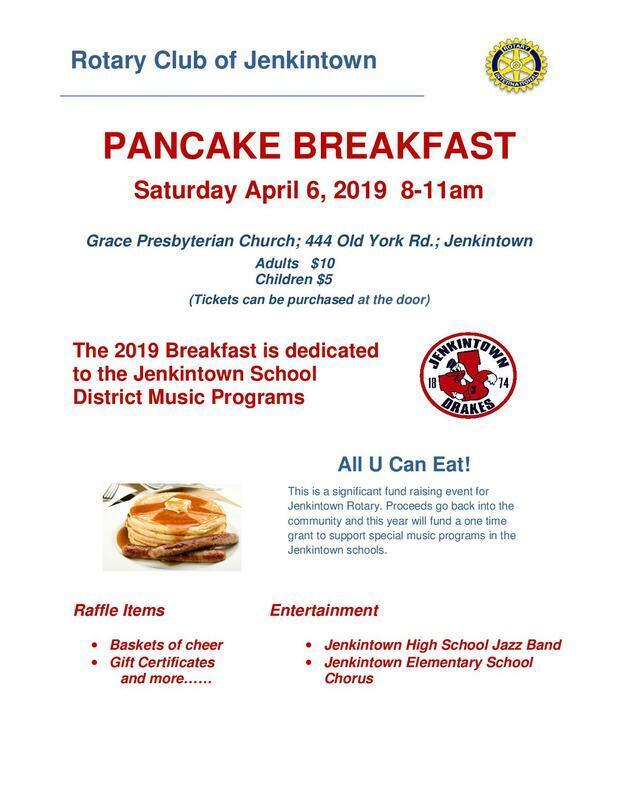 During the Jenkintown Rotary Pancake Breakfast entertainment was provided by the Jenkintown High School Jazz band and Elementary School chorus. 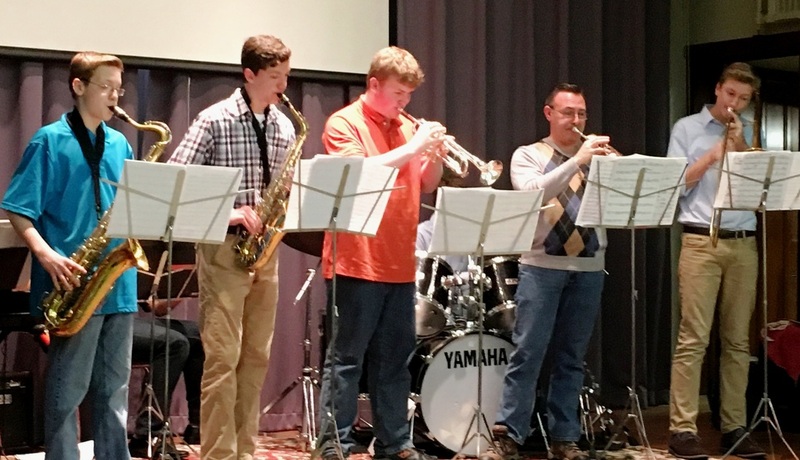 Shown above are musicians from the Jazz Band under the direction of Fred Eyrich (2nd from right) . Jenkintown Rotary Club President John DiBenedetto flipping flapjacks at the 2016 Timothy Lloyd Memorial Pancake Breakfast. This year's Memorial Pancake Breakfast was dedicated to the memory of long-time Jenkintown Rotarian Timothy Lloyd. 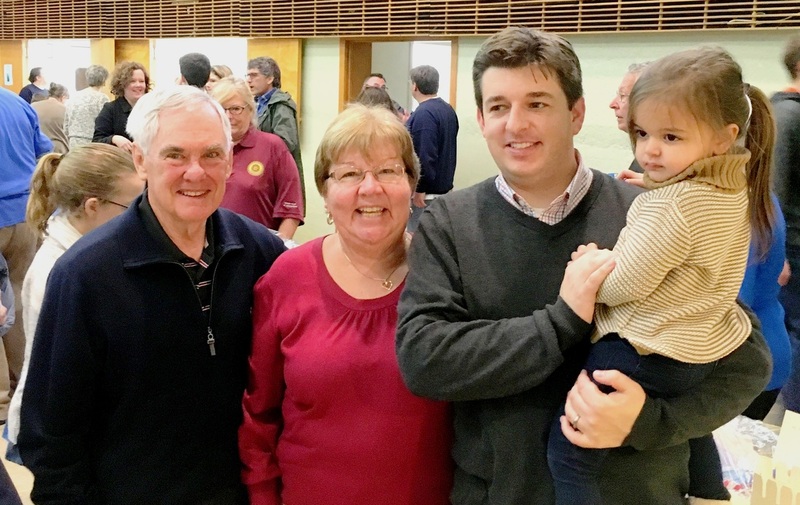 Pictured are Tim's brother Tom, wife Kathy, son Jonathan and granddaughter Emma. 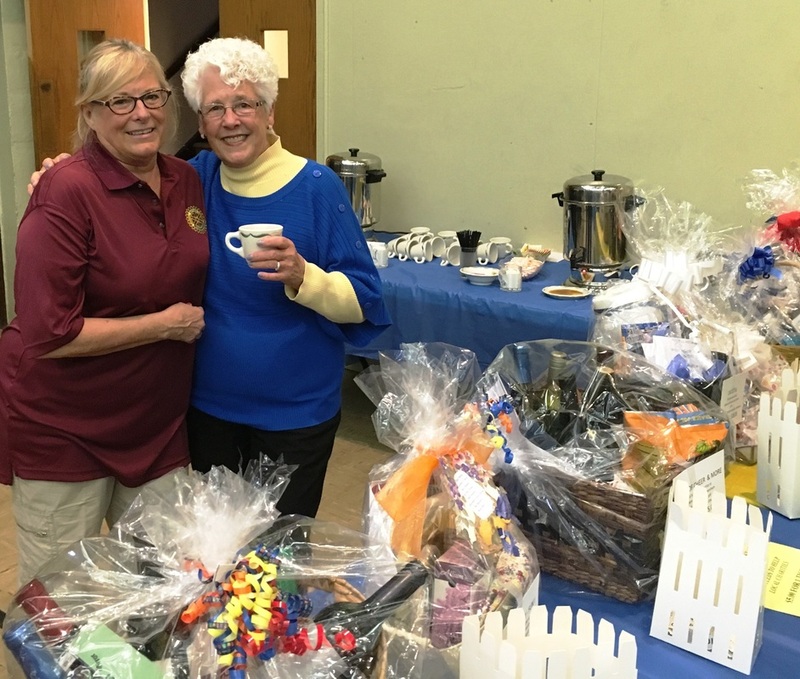 Rotarians Nancy Zindel and Barbara Jacobs coordinated the Baskets of Cheer. Thank you ladies! 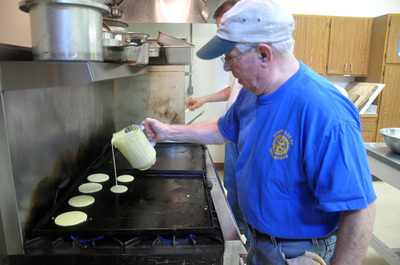 ​Each April the Club holds a Pancake Breakfast at Grace Presbyterian Church in Jenkintown. For a very moderate charge patrons enjoy a complete breakfast of all you can eat pancakes, scrambled eggs, sausages, muffins, juices, coffee, and tea. Recent attendance was nearly 250 people. 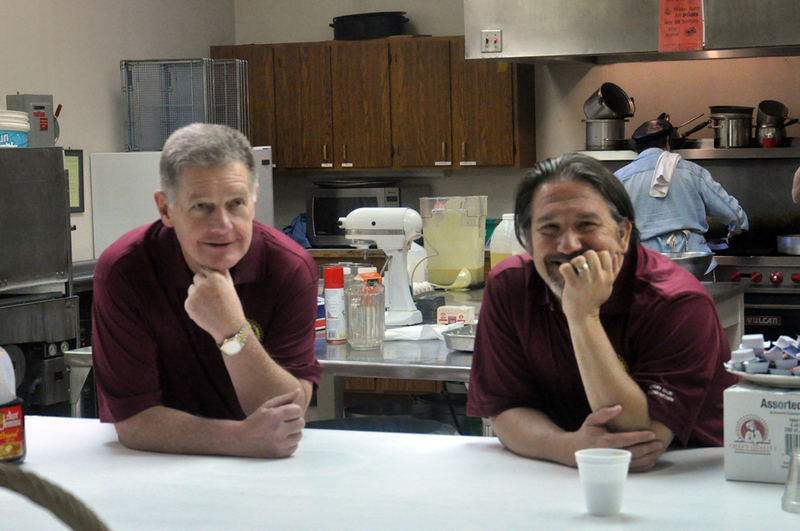 The annual Pancake Breakfast is one of our best member- supported and hands on activities. 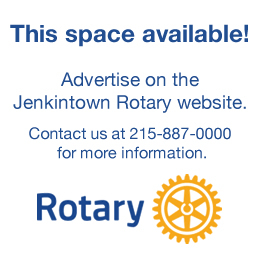 Our club members are encouraged to purchase and sell tickets, become sponsors, and help secure food contributions so we have no out-of-pocket expenses. 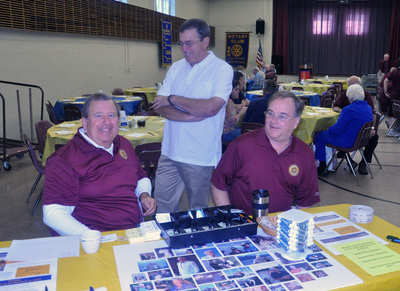 In addition, our members supply all the labor, before, during and after this activity. Revenues are generated primarily through sponsor advertisements set forth on a large, individual serving, placemat. 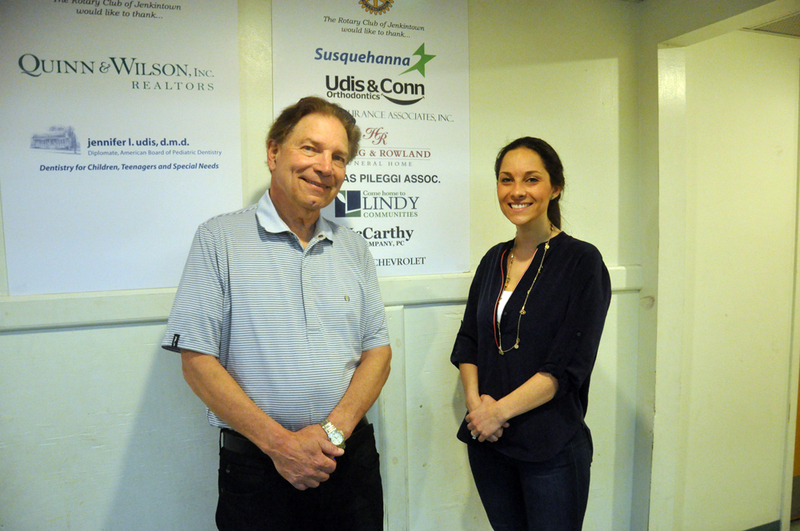 Profits from this event are subsequently contributed to the approximately 22 local charitable and non-profit organizations supported by our club. This event has been a major fundraiser since 2003.